Tony Moly (http://www.etonymoly.com/) is a South Korean cosmetic brand that is incredibly popular for their adorable packaging and reasonable price and I have to say the cute packaging is to blame for why I just had to try out Petite Bunny Gloss Bar. Aren't they just adorable? Looking at them reminds me of crayons you use in school. 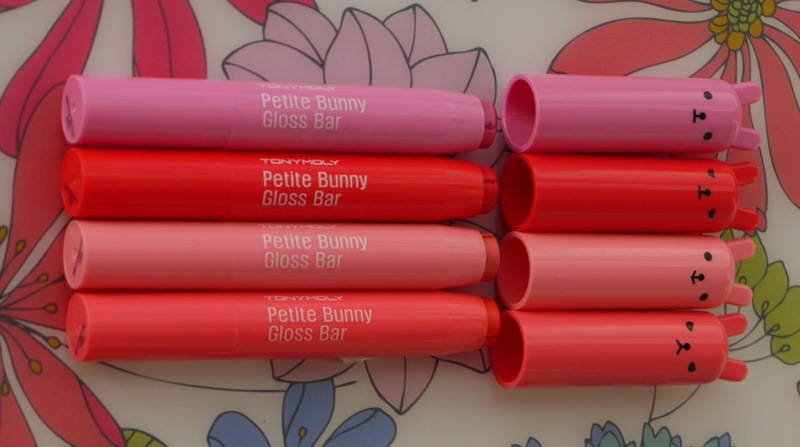 The cap of each Petite Bunny Gloss Bar has a bunny face with different expressions to easily differentiate the colour and scent better. 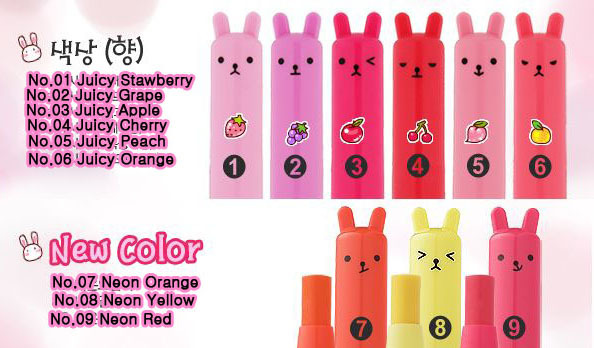 The faint fruity scent is hardly noticeable after application. The product comes out by twisting from the bottom up, a few milimeters is enough as it does not twist back. 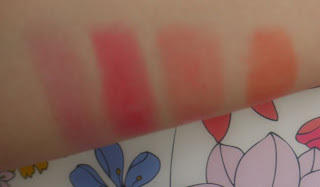 I do end up reapplying because they don't have too much staying power but that does not bother me at all! Although they are called gloss bar, they are actually more like tinted lip balm rather then lip gloss. The colour is sheer but buildable and can be intensified with extra coats. I love that it is not sticky at all. The texture is creamy and glides on easily. It is so much fun trying them out. Have you tried them too?